Next Father's Day you might be tempted to organise a special treatment for a special man on his special day at this special Dad Spa. You can check it out on Street View here. 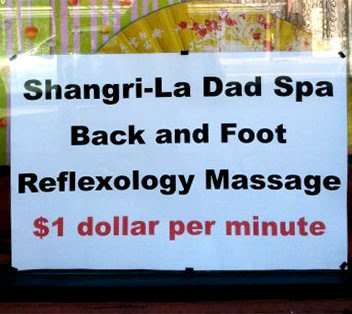 Oh, and it charges one dollar dollar per minute.